Using the concept of Postnormal Times to investigate the Internet’s infectious connectivity, this study deploys a new foresight method to explore the emerging forces and issues pushing and weighing the Internet in the years to come. The Centre for Postnormal Policy and Futures Studies’ Three Tomorrows method explores temporally diffuse, yet interconnected, alternative future(s) scenarios through the lens of a single phenomenon or thematic. In this instance, affect is the locus of inquiry. 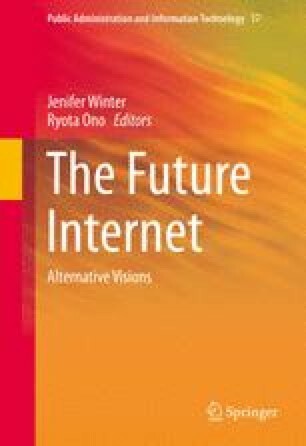 While affect has received greater attention in philosophical and theoretical circles, it remains an understudied concept in Futures Studies and within scenarios for the future of the Internet specifically. Wielding black swans, black elephants, and black jellyfish—a new concept for emerging issues analysis—to seed scenarios for and within the context of postnormal times, this chapter uses the Three Tomorrows method to construct and extrapolate the concept of infectious connectivity, which aims to understand the ways with which Internet-related factors and forces can and might affect our all-too-human bodies.